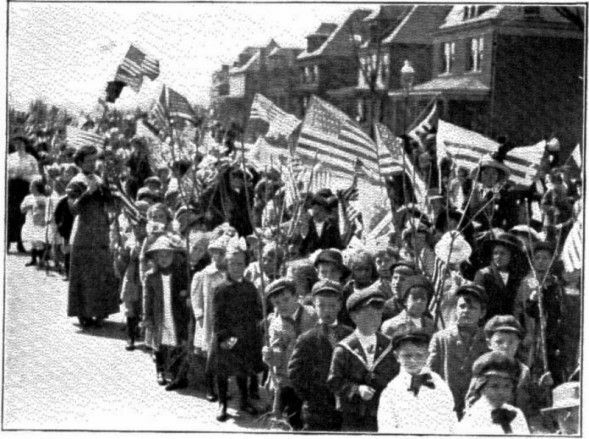 1 Quentin Roosevelt Elementary School, located at 200 The Boulevard, was named after President Theodore Roosevelt's son. The new school which bears the name Roosevelt Elementary School is located on West Cherryhill Street. 2 Both schools are part of the Pittsburgh Board of Education. 3 These are images of "Bird Day" at the original Quentin Roosevelt Elementary School that was located at 200 The Boulevard. 5 This entry was posted on the Pittsburgh Board of Education web site on Friday, October 9th, 2009 at 3:51 pm and is filed under Good News, Pittsburgh Concord K-5, Pittsburgh Grandview K-5, Pittsburgh Roosevelt PreK-5. Quentin Roosevelt Elementary School, located at 200 The Boulevard, was named after President Theodore Roosevelt's son. The new school which bears the name Roosevelt Elementary School is located on West Cherryhill Street. Both schools are part of the Pittsburgh Board of Education. These are images of "Bird Day" at the original Quentin Roosevelt Elementary School that was located at 200 The Boulevard. This entry was posted on the Pittsburgh Board of Education web site on Friday, October 9th, 2009 at 3:51 pm and is filed under Good News, Pittsburgh Concord K-5, Pittsburgh Grandview K-5, Pittsburgh Roosevelt PreK-5. Award-winning children’s author brings a blast of the Antarctic to the third graders at Pittsburgh Concord, Pittsburgh Roosevelt and Pittsburgh Grandview. Students from all three schools had the opportunity to meet Mrs. Betty Tatham, author of “Penguin Chick,” a story in the third grade Treasures anthology. She shared the processes involved in writing and having her books published. The children went on a virtual tour of an African Safari as they viewed photographs of the animals she studied for her books. Mrs. Tatham wowed the students as she read aloud her story entitled, Baby Sea Otters. Finally, third, fourth and fifth grade students from each school were invited to attend an evening workshop at Pittsburgh Concord with Mrs. Tatham. Parents and students had the opportunity to enjoy more stories by Mrs. Tatham and to create a collage similar to the illustrations in her book, Baby Sea Otters. Ms. Susan Barie, principal of Pittsburgh Concord, provided the students with Sea Creature stickers and theme-related prizes. 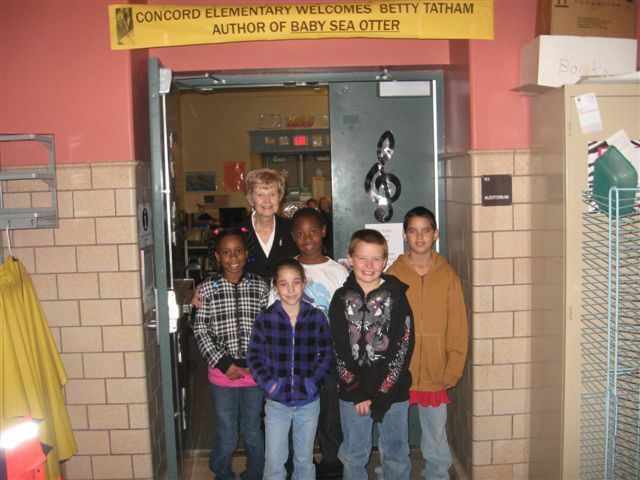 The students truly enjoyed meeting and working with Mrs. Betty Tatham! 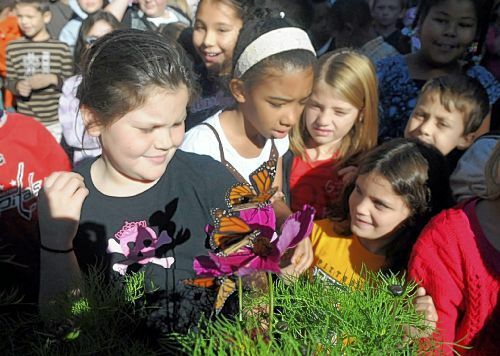 Students from Roosevelt Elementary School in Carrick gather around the flowers in their garden to look at the butterflies they released. The school raised butterflies this fall and about 60 were released. Butterflies raised at Roosevelt Elementary School in Carrick land on one of the flowers in the garden at the school after their release. "It's called controlled chaos," Principal Vincent Lewandowski said with a smile. With a whistle blow, he was quickly able to quiet the nearly 300 students in grades two through five assembled on the playground of Pittsburgh Public Schools' Roosevelt Elementary. On a sunny morning last week, the students were anxiously awaiting the release of 60 monarch butterflies raised at the school's intermediate campus in Carrick. The release was the culmination of a six-week schoolwide project coordinated by learning support teacher Elizabeth Pascarella. Fondly referred to as the "butterfly whisperer" by some of her colleagues, Ms. Pascarella is passionate about incorporating nature into schools. 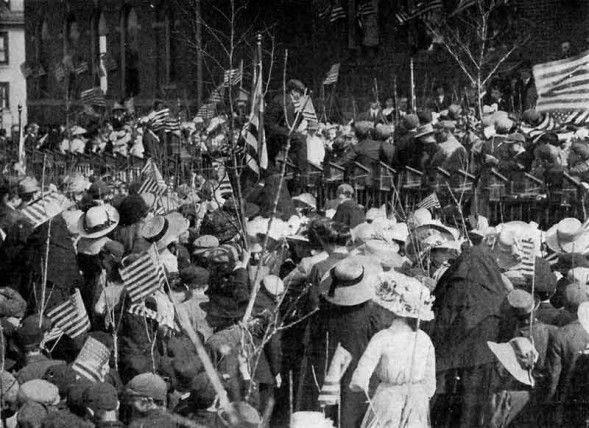 She led the charge for renovation of the school garden next to the playground. The small area now includes butterfly bushes, milkweed and other plantings along with concrete benches where students can enjoy the garden. The school worked in conjunction with the Western Pennsylvania Conservancy on the garden renovations. Ms. Pascarella planned ahead when choosing the plants for the small garden space. She ensured it would be butterfly friendly by planting milkweed and butterfly bushes. Standing on a planter in front of the crowd, Mr. Lewandowski asked the students, "Where are they going to fly?" A chorus of "Mexico" was the collective response. 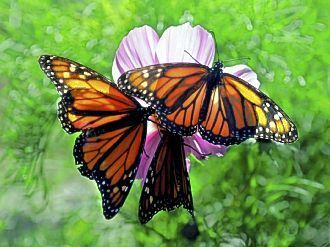 Monarch butterflies migrate to Mexico in early fall each year. Their descendents return to the Northeast the following spring. The cycle repeats through four generations for each butterfly. The monarch butterflies instinctively return to the same milkweed plants they feasted on as caterpillars. Ms. Pascarella is hopeful that descendents of the monarchs released this day will find their way back to Roosevelt Elementary in 2010 and beyond. This is not the first time the school has included monarch butterflies in its curriculum. In 2008, the project failed when all of the butterflies died before the release. Despite the setback, Ms. Pascarella managed to find a teaching moment. "We discussed the idea of survival of the fittest," she said, referring to the basic concept of naturalist Charles Darwin's theory of natural selection. This year, about 60 of the 216 caterpillars originally ordered survived to become butterflies. Monarch butterflies are often referred to as the "king" of butterflies because of their striking orange and black coloration. This is the first year the entire school participated in the butterfly project, but there are plans to make it an annual event. Each class received four to five caterpillars to care for and observe in their classroom. They watched over the weeks as the caterpillars spun into a chrysalis, or cocoon, and eventually emerged as a butterfly. According to Mr. Lewandowski, the project generated interest in both students and parents. "At open house, all the parents wanted to see the butterflies," he said. Each butterfly created a stir among students. "Every time we had one emerge, the class would call me with excitement," Ms. Pascarella said. She said it's often difficult to include projects such as this within the rigid state curriculum requirements for each grade. "So, we used all of the subjects and incorporated butterflies into all of them," Ms. Pascarella said. "In English, students wrote about butterflies. In math, they learned about measuring distance." Among other things, students learned that the butterflies will travel more than 2,500 miles to their Mexican destination. Before the release, Ms. Pascarella played a recorded "butterfly song" for the students. Many flapped their arms in time to the music, imitating wings. Then the students counted down from 10 as Ms. Pascarella lited the terrarium lid. Each butterfly floated into the air with a loud burst of applause from students. Sarah George, 7, enjoyed the project. The second-grader from Carrick looked up to the sky with wonder: "They fly real high. I like that." Freelance writer Jennifer Goga can be reached at suburbanliving@post-gazette.com. This page was last modified on 31 July 2011, at 18:49.